Lawmakers in Trenton today will discuss starting a pilot program that would allow 25 New Jersey school districts to determine whether expanding their school day and school year advances student achievement. Local taxpayers would not foot the bill for the three-year test program, according to NJSpotlight.com. Instead, $144 million would be made available over the program through private contributions and state tax credits. 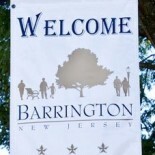 This entry was posted on September 24, 2012 by Barrington Bulletin in Schools and tagged extended school year.